Fleur Smithers rarely veers off the straight and (excruciatingly) narrow. So moving to the seaport town of Toulon to live with her newfound biological mother—an inspector with the French National Police—for one year is a pretty major detour. Son of France’s crime royalty family and international rugby star, Louis Messette, is devoted to his sport, famille and nothing else. But the saucy American he meets one night changes everything. She sparks a desire in him like no other. Possession takes root. She will do as he commands. Bit by bit Fleur slips into the Frenchman’s realm of wanton pleasure agreeing to his one condition: that she keep their affair secret. She serves up her heart without reservation in the hub of the glittering Côte d’Azur, and the along the soulful Seine in Paris, unaware of the danger she is in. For her new lover’s “family business” will pit her against her mother, the police woman sworn to bring down the Messettes. And by then, far more than Fleur’s heart will be on the line. 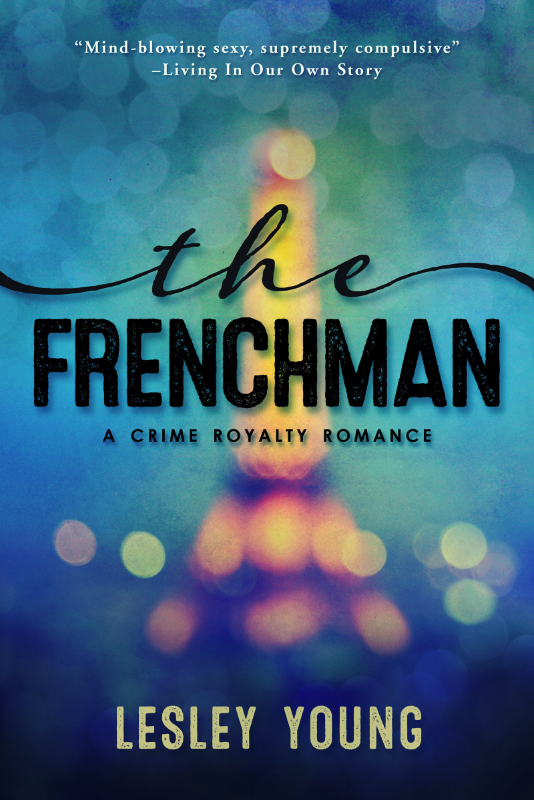 Curious about The Frenchman? Want to know more? Then be sure and sign up to be a part of the blog tour in January! Sign ups are open now. After a moment, when I steeled my resolve, the door opened. A man with salt and pepper hair, a nasty scar above his lip and astute eyes, scanned me. “Oui?” he asked rudely. I hesitated, but then thought, I’m all in. He scanned me much more carefully, and his dark eyes stopped at the cash in my hand. After his eyebrows rose, ever so slightly, his face relaxed and a side hitched up. He shrugged and opened the door wider. I stepped into another foyer, encased in a marble, circular partition. With one last wave of jacked-up energy, I barreled around the wall, quickly scanning the, holy massive, space, hesitating only to admire the incredible view provided from floor-to-ceiling windows everywhere. Gorgeous kitchen, too. I sucked in a waft of cooked chicken. God I missed meat. Pausing to get my bearings—this was an extremely large suite—I followed the faint sound of the television sports game. There was the living room. I spotted a giant flat screen against a wall, blinds tugged down around it. My heart was going a mile a minute, my hands shaking. I couldn’t turn back now. I stepped down the two stairs, powered across the empty dining room area, into the living room space, aiming straight for the middle, where . . . my eyes scanned quickly . . . there were others present, two, I think, standing behind one sectional. There sat Louis, legs wide apart, on a giant leather sofa, a remote in one hand and an empty plate of chicken bones beside him. He was in a pair of track pants and nothing else. To say he was shocked, when he realized the girl standing in front of him was not a cute American announcer suddenly on his TV screen, was an understatement. “Fleur,” he exclaimed sitting forward, absolutely no fat bunching at the waist. “What the hell is this? !” I shouted at him, waving the cash. I watched red sprout in his cheeks as he glanced around at the chilled room, and back on me. His eyes took in the money, and my other hand on my hip. He stood up to his full, mighty height, extra slow, his eyes steady on me. But I wasn’t intimidated. Not in the least. He was way out of line. “You know what? In America, you pay—” I shook the wad of cash at him “—after you’ve finished the transaction.” I threw the money at him but it didn’t get very far. It kind of fluttered to the floor. Holy cow. Did I really just say that? That is not what I had meant to say. It just came out. Waves of regret rippled through me as he pulled his head back, and his lips bunched up, contemptuous. Disgust spread on his face like ink. And who could blame him? There I was, standing in his living room, lamenting the fact he had not bopped me. Oh sweet mercy. Lesley Young is an award-winning Canadian journalist by day, and obsessive novelist by night. Her debut novel, Sky’s End (Soulmate Publishing, 2013) hit #9 on Amazon’s sci-fi romance paid best-seller list in its first three months of release. Not too long after that, she started dreaming up quirky heroines who lose their hearts to extremely powerful, flawed heroes, only to find out what love really is while on a dangerous adventure abroad. 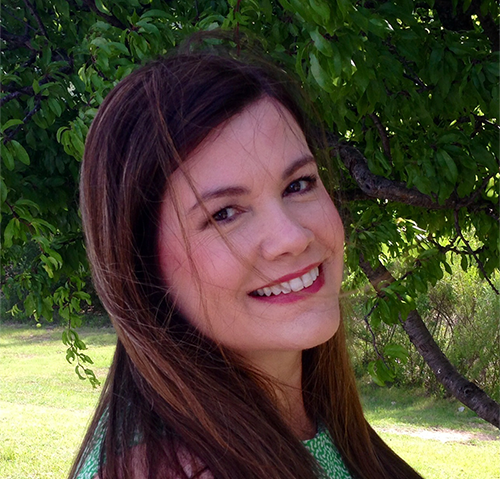 She called it the Crime Royalty Romance series, and landed herself a pretty big agent at Spencerhill Associates. Never one to take the obvious path, Lesley ultimately decided to self-publish. She’s never sure who or what will pop up in her imagination next. The Irishman? The Spaniard? The Hawaiian? Anything’s possible, and she loves suggestions (or recommendations of really hot, er, talented, actors to work as a muses). Stay in touch with her and feel free to forward on decent options at Facebook.com/LesleyYoungBooks and @LesleyYoungBks (note: Charlie Hunnam’s already taken the lead role of The American—#3 Crime Royalty Romance...coming soon! ).